Kaitlin attended Methodist University in Fayetteville, NC where she received a B.S. and double major in Business Administration and Marketing with a Concentration in Professional Tennis Management. While attending Methodist, she played on the Women's tennis team where she was named NCAA USA South Rookie of the Year, 2-time Player of the Year, 4-time First Team all Conference Player, 4-time Conference All-Tournament Player, and Conference Tournament MVP. She also was named Methodist University Senior Female Athlete of the Year. She continued her education at Methodist University and received a Masters degree in Business Administration with a concentration in Organizational Leadership. She currently holds a USPTA Elite Professional Teaching Certification, a Sports Science Level I Certification. She is a former Master Racquet Technician (MRT), a PTR Adult Professional, and licensed Cardio Tennis Provider. Kaitlin worked as a tennis professional at Wee Burn Country Club in Darien, CT for three summers where she ran both adult and junior programs, organized mixers, and successfully ran numerous tournaments. 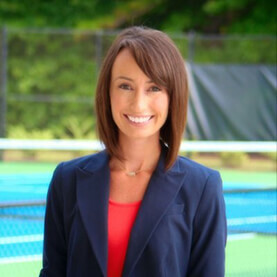 Kaitlin is coming to Seven Oaks from MacGregor Downs Country Club in Cary, NC where she was the Head Tennis Professional. In addition, Kaitlin was the Assistant Director of the Professional Tennis Management at Methodist University where she was actively involved in teaching and preparing students for their future careers in the tennis industry. Kaitlin also coached and assisted in the development of the Methodist University NCAA regionally/ nationally ranked men’s and women’s tennis players. Ranked in the top 10 in France and beat current top 100 ATP players as a junior. Played for Lander University and reached the #5 spot in the nation in singles (best win over the #1) and the #25 spot in doubles (best win over the #5) in the NCAA Division 2. 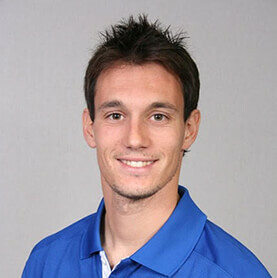 First Team ITA All- American (2010, 2011, 2012). PBC All-Conference First Team (2010, 2011, 2012, 2013). 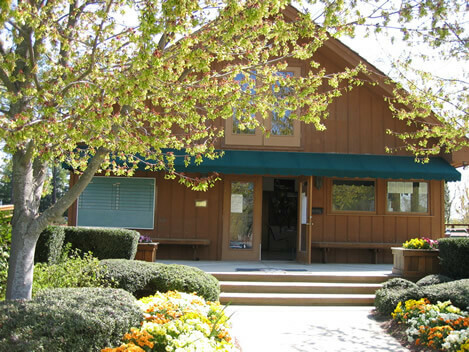 Tennis Assistant Pro at the Greenwood Country Club. Men and Women’s Tennis Assistant Coach at Lander University. Director of Junior Development at the Raleigh Racquet Club. 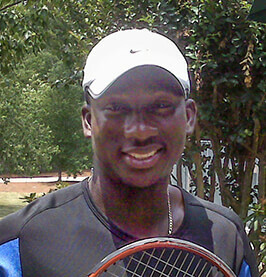 Ranked #1 player in Raleigh, NC (TennisLink).